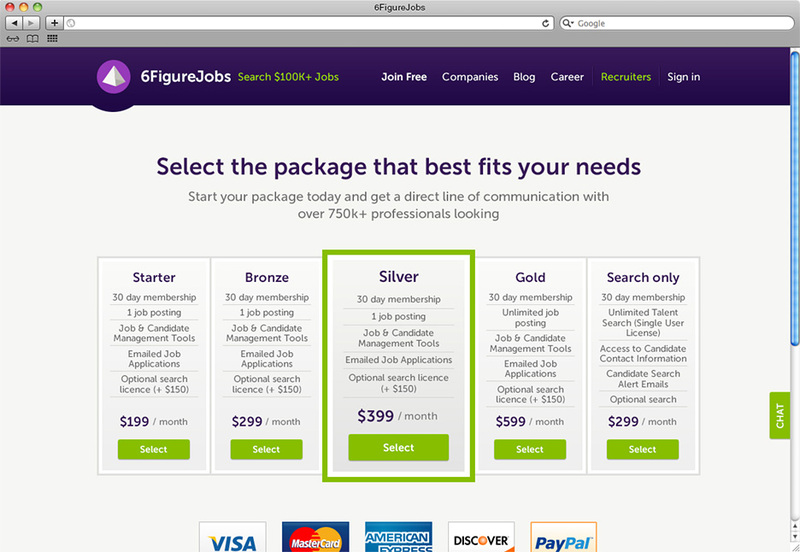 6FigureJobs is a premier career and recruitment community that offers six-figure jobs and job search resources to senior-level professionals and executives. 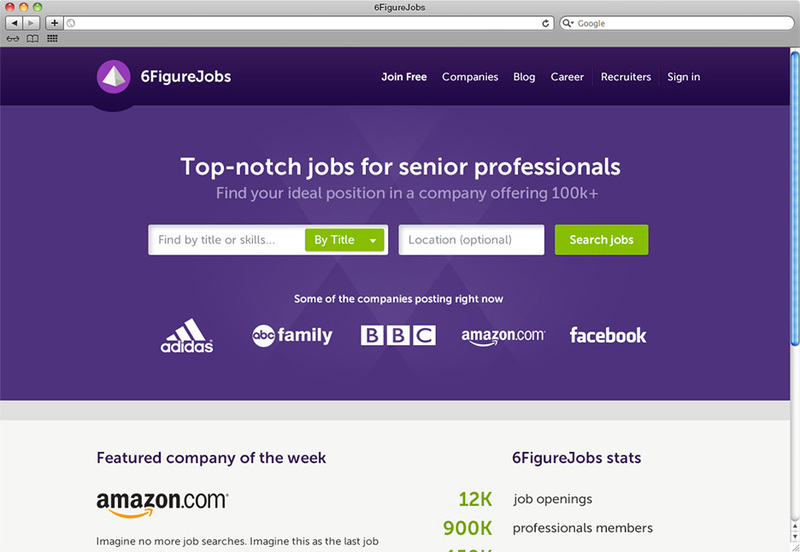 With a community of over 700,000 active users, 6FigureJobs required high attention to detail and compatibility with many of today's most popular devices ranging from hand-held phones to desktop computers. 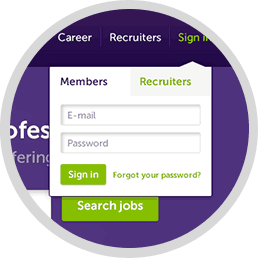 The biggest challenge for this project was to design a simple, clean and modern user interface while preserving the powerful job search functionality already baked into the site. 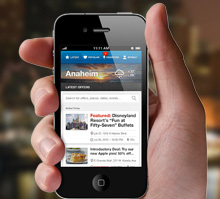 With mobile and tablet traffic increasing rapidly, a design that dynamically responds based on the device was top priority. Using careful design decisions, a unified user interface was developed that adapts to all devices. Each feature of the site was meticulously examined, researched, and improved to allow the overall user experience to flow holistically. 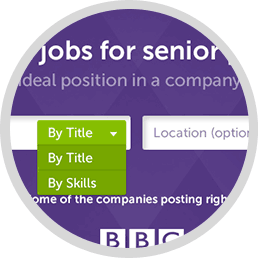 The heart beat of the site, the job search, was refined to make it easier than ever to search for a job by either job title or skill-set. Finding the right job requires the right filter criteria. An intuitive set of filter tools were included to streamline this process. An educational recruiter section was built to allow recruiters to purchase access to 6FigureJobs' elite community of exceptional talent. Object placement and company branding was carefully considered in the homepage's design to provide a great first impression. 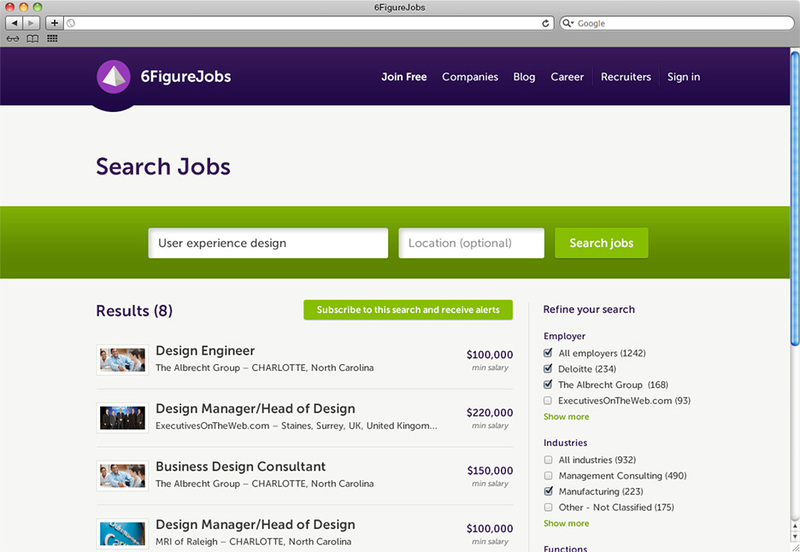 The job search results page makes it easy to find your desired job with a few clicks. 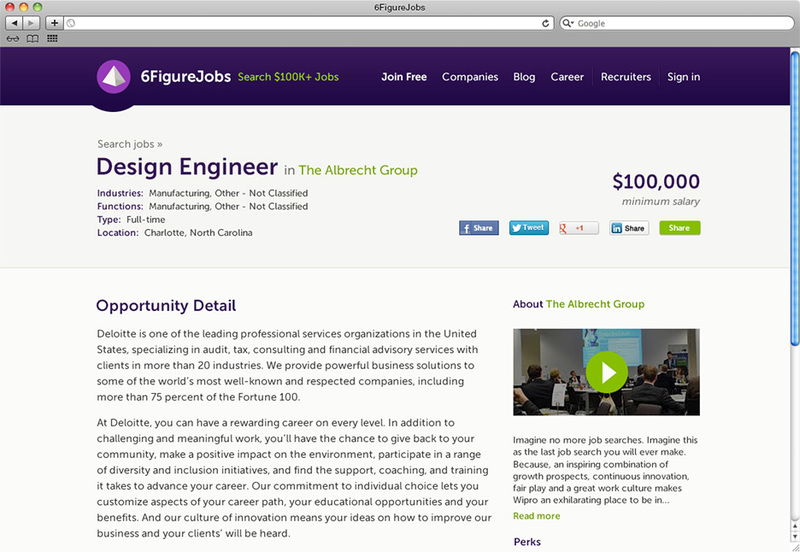 Each job page is displayed beautifully to maximize the appeal of the job opening. 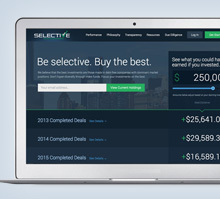 Company information is included to help the candidate research the opportunity. 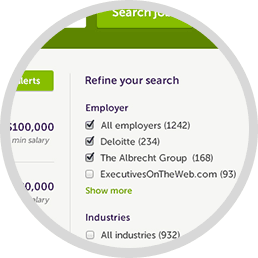 Recruiters and employers can easily select packages to post their jobs and search through 6FigureJobs' elite community of exceptional talent. 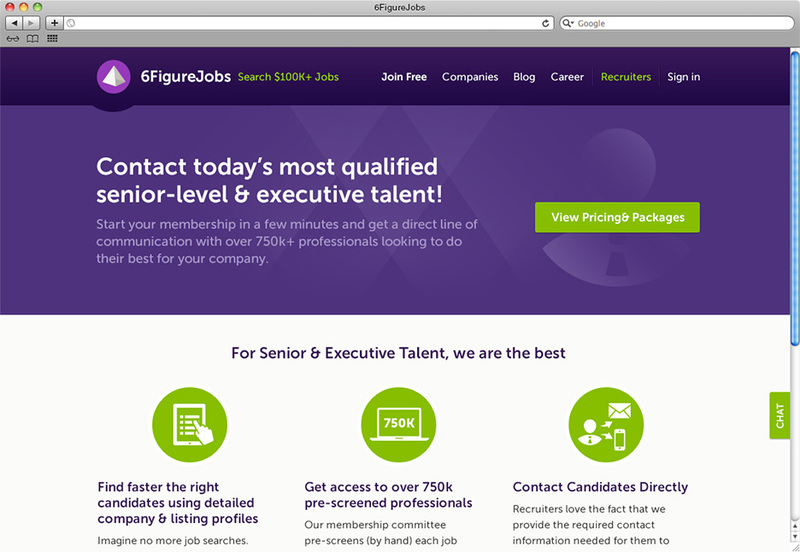 An educational section was created for recruiters and employers to outline the many benefits of 6FigureJobs' elite community.